With approximately 16% of the world’s population aged 55 years or older, the issues of entrepreneurial activity at these more advanced ages directly affect more than 1.2 billion people. 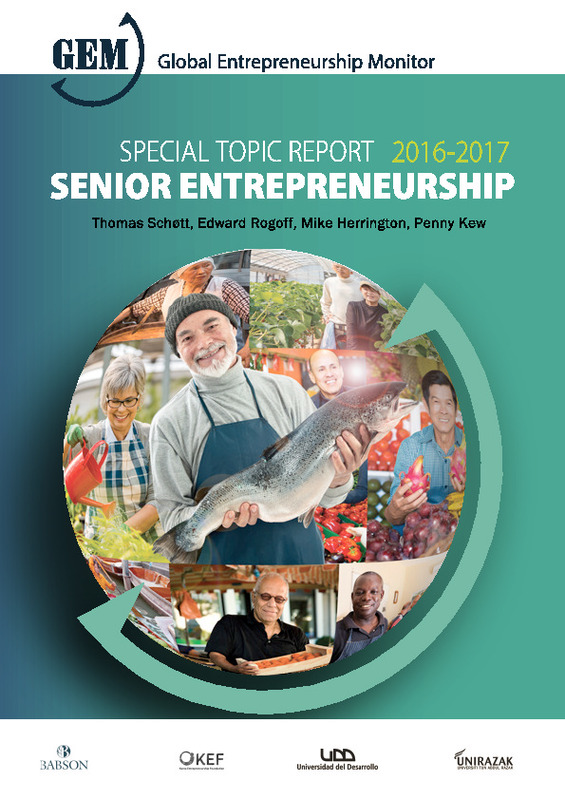 This Special Report offers an account of senior people’s involvement in entrepreneurship around the world. Seniors may be involved in a variety of entrepreneurial pursuits, including as entrepreneurs starting and running their own businesses; as entrepreneurial employees; as social entrepreneurs; and as informal investors.